Chamber of Commerce of Hawai'i "Transportation Summit"
The Chamber of Commerce of Hawai’i hosted a Transportation Summit today focusing on fossil fuel consumption for ground transportation. There are more than one million gasoline and diesel passenger vehicles in Hawai’i. That, according to the Blue Planet Foundation. Chief of Staff, Melissa Miyashiro, says that number adds up to a lot of miles and fuel. Miyashiro says electric vehicles or EVs would dramatically decrease the use of fossil fuels. 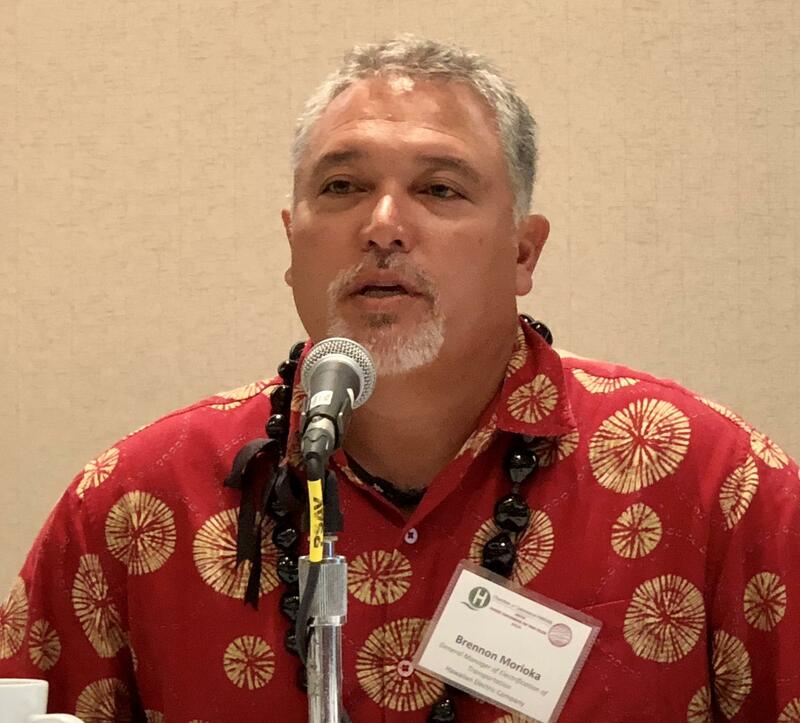 Hawaiian Electric Company general manager for electrification of transportation, Brennon Morioka, says EVs already save money, even with Hawai’i’s high electricity rates. 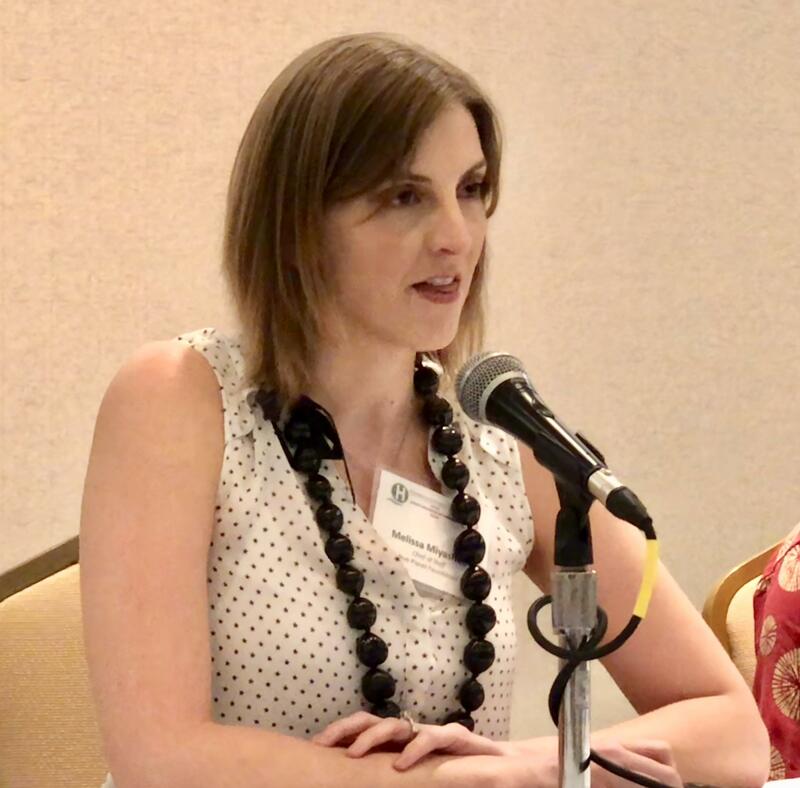 Morioka says half of the vehicles in Hawai’i will be EVs by 2045. 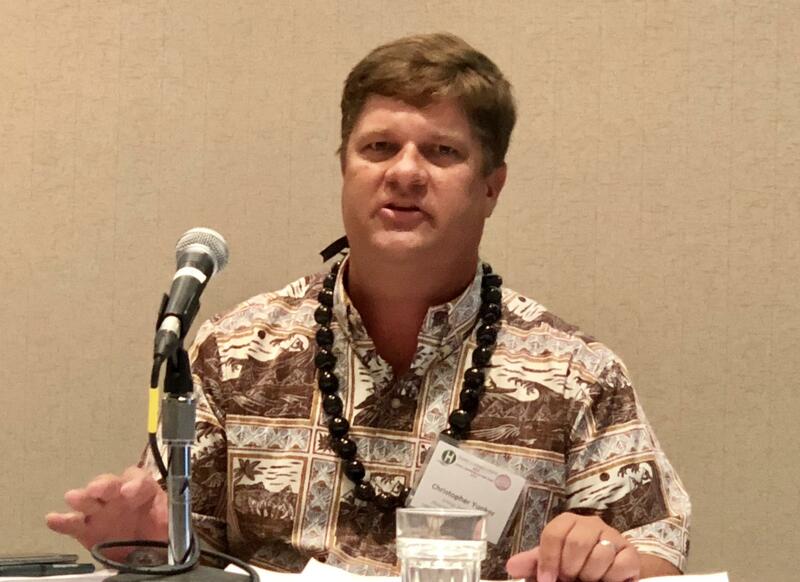 Hawai’i’s four counties adopted policy of 100 percent all-green vehicles in 20-30 years. State Energy Office Systems and Planning Branch Manager, Christopher Yunker, says government can lead the way. 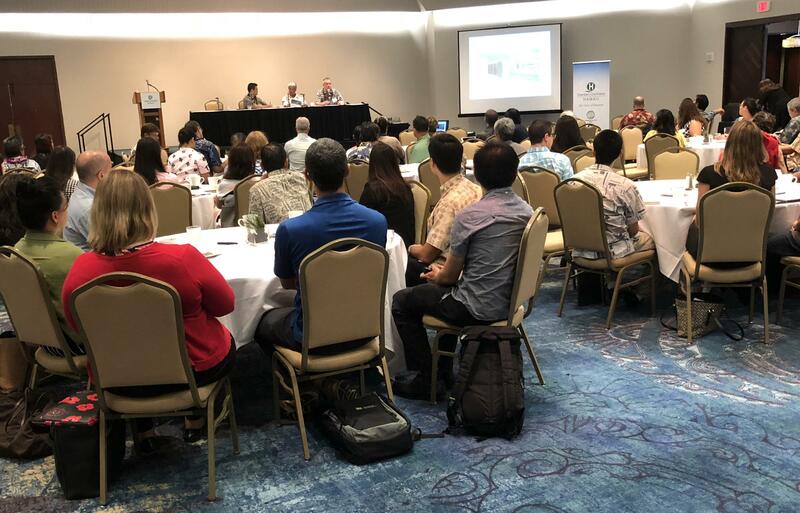 But, Blue Planet Foundation’s Miyashiro says more charging stations in condominiums and workplaces are needed now to take advantage of solar power during daylight hours. The goal, she says, is to lower the state’s carbon footprint.